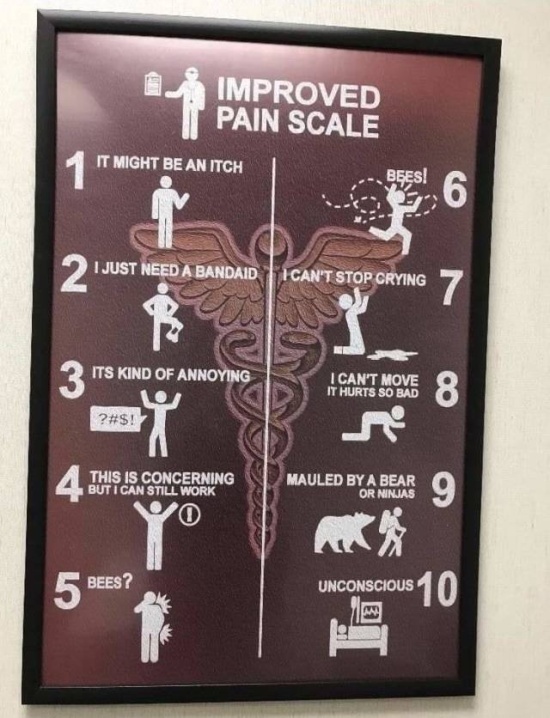 Bill Y, this might be the best pain scale ever! #9 confuses the Legend, Don Don’s. Bears and Ninjas are very different and the people need to know this! The missing apostrophe from “It’s” gives me a pain level of 3. Oh, you can take a writing professor out of the classroom, but…well, you get it. Don’t let it bother you, Bill.